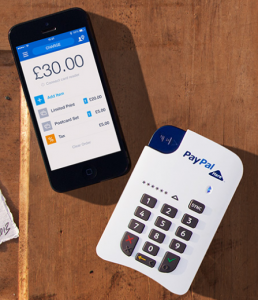 …and for the first time we used the PayPal chip and pin card reader to take payments. It worked flawlessly with our iPhone and a 3G signal. A couple of times it slowed slightly leading to strained smiles and comments about the weather with customers as the payment was processed but overall we’re very impressed. Once the payment is processed you can send your customer a receipt (if they want one) by either email or text message to their phone. The reader communicates with your phone by bluetooth and as I said before it’s pretty seamless. For £99 (we got ours on offer at £49 which PayPal seem to do monthly) it’s a great buy. It perhaps didn’t increase the number of sales we made yesterday but it certainly increased the value of each because of the ability to pay by card.